Enjoy the panoramic view this tropically decorated, fifth-story unit has to offer of the Atlantic Ocean and the adjacent Wildlife Sanctuary. The unit affords its guests the spectacular sunsets the Florida Keys are famous for, right from your balcony and living room. 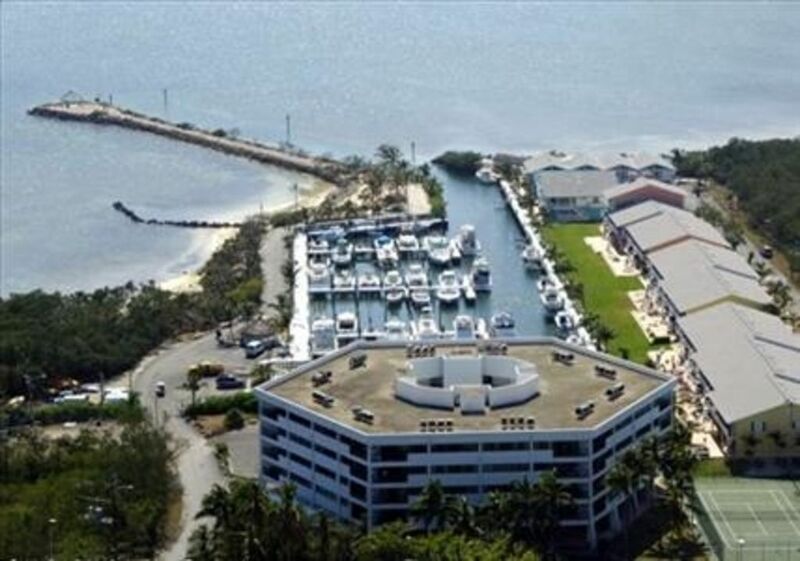 Kawama Yacht Club is situated at mile marker 100 right on the ocean. This gated community with 24 hour security gate offers all you need for a relaxing vacation or get-away. The unit has porcelain tiled floors throughout for your comfort and cleanliness. Our unit is fully furnished with all the comforts of home, from your toaster oven to your blender to make those famous tropical drinks. Pets are NOT allowed and this is a No Smoking unit. NOTE: Our Marina, boat ramp and fish cleaning station is currently closed due to damages from Hurricane Irma as well as the Tower Pool. All guests do have access to two (2) additional pools in the complex. For the boaters, you will have free use of the ramp or contact us for information on renting a slip at our marina with direct access to the ocean. We feel confident your stay at Kawama Yacht Club will be a most memorable experience! We bought Kawama for our future retirement home. Excellent fishing, scuba diving, Snorkeling and just all round water sport destination in Florida. Kawama has its own Marina and ramp. We are located right on the Ocean. We offer a family oriented complex in a gated community with 24 hour security at the gate. See pictures for view from balcony and condo. We have spectacular sunsets. Look at our reviews. Free phone service local calls only. WIFI Provide by Home Owners Association. Side by Side Fridge with ice/water dispenser. Other Activities: boat, shopping, kayaking, deep sea fishing, Glass bottom boats, Bay flat fishing.